As always we rely on the donations given to ACCT by members and supporters. We have many different ways you or your friends or workplace can get involved. Click on the buttons on the right of this page (Donate Now or JustGiving). Here using Charity Checkout or our Just Giving page you can make a one off donation or set up a monthly direct debit. 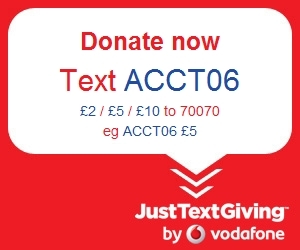 Do an event/fundraiser for ACCT, click on the Start Fundraising for Us with Just Giving button on the right of this page to follow instructions to set up your Just Giving page for ACCT. If you need help setting up get in touch. Funds go directly to ACCT and we can use your event page to promote your event. We also have sponsorship forms available at the office if you are seeking cash donations too. 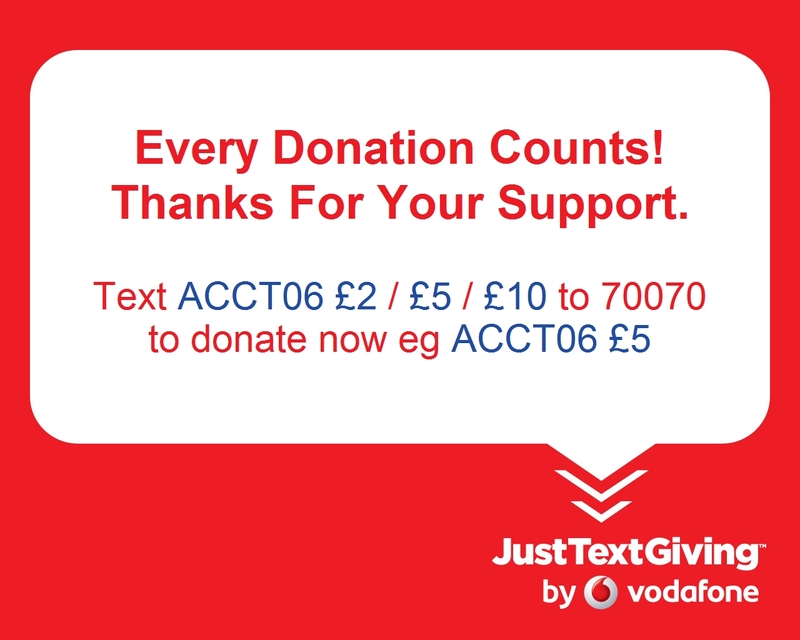 Text donate between £1 (min) and £10 (max) per text using the instructions below. Thanks for your support, we appreciate it. Happy fundraising!